Hello Dealsnloot readers,Here is another free recharge and money in the bank given app named Hocalwire. 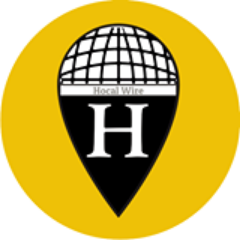 Hocalwire is a platform for everyone to report and view local news and stories around them which are relevant and important.With the advent of technology, in most cases people end up with an overload of information. And typically, one ends up reading about news and stories which are thousands of miles away, but not aware of what happens in their own locality.Today We Bring A Great Refer And Earn App Let See What Is The Steps.Grab This Loot Earning Trick. 1.First of All, Download Hocalwire App From Here. 2.Now Download Fake GPS App From Here. 3.Now Open fake Gps App & Set location to Delhi/Ncr Area. 4.As Soon as Location Got Set to Delhi, open Hocalwire app. 5.Now signup Using Your Mobile No. 7.Now Go to Refer & Earn Option. 8.Share your Refer Link With Your Friends, Family Members & Relatives to earn 9.Unlimited Paytm Cash for free. 10.You will Get Rs. 10 Free for Each Refer. 11.You can earn maximum Rs.200 as referral bonus in this campaign. 12.Bonus will reflect in Dashboard after successful registration by referred friend. 13.Referral campaign will be live from Feb 16, 3 PM to Feb 19, 3 PM. Note - This Referral Campaign Is Only For Only For Delhi and NCR User But I am Post Trick For All User.Also Unlimited Trick.See Your Refer Earning End Of Refer Campaign.Receive Your Payment Via Paytm Cash.SO Loot Lo. *To Refer click on “Refer & Earn icon” at top right side of the dashboard. *Now simply share your referral link using Whatsapp / Facebook app! *Goto Menu (top right side) > Refer & Earn option. *You will see all your earnings here. *Get Your Referral Link & Delete App. *Change Your Android Id , Google Ads Id & Imei . *Download With Your Referral Link . Refer earning will not showing you. But in the End of every month They contact via Email or SMS then tell your Earning and then they Transfer it to Paytm account.